What happens when you try to play a tricky piece of music, talk to the audience and simultaneously take texts, calls and selfies on your smartphone? I wrote and performed “Multitasking” for my Masters in Communication in Digital Media class at the University of Washington this spring to find out. The result? Connection and distraction, in equal amounts. Want to find out more? Here’s the video. 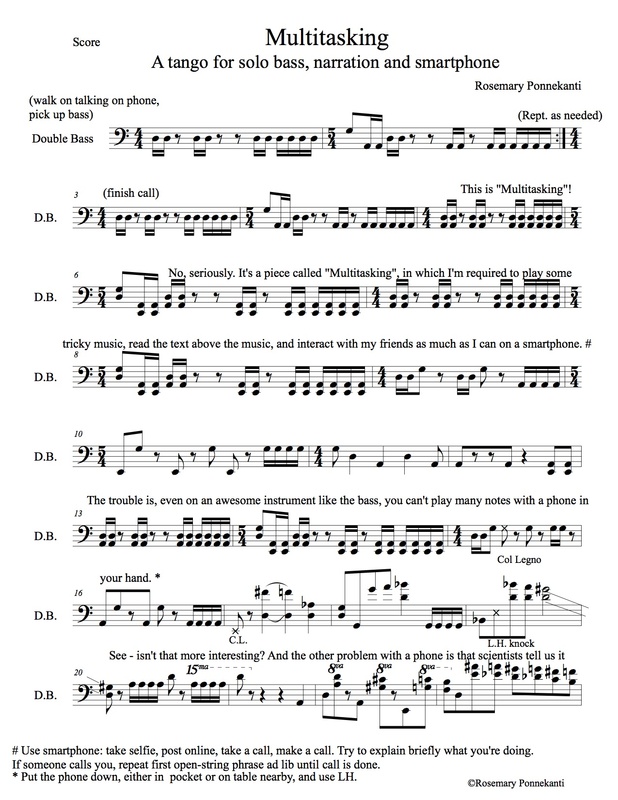 And here’s the first page of the score. Contact me if you’re interested in buying it. 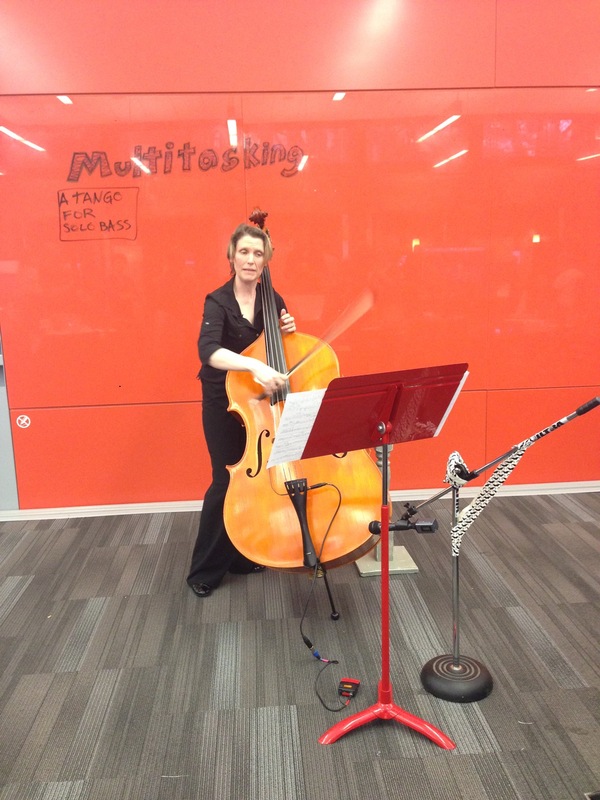 Tags: composition, double bass, multitasking. Bookmark the permalink.